No hassle, low cost renewable energy, with member financing. Build Low Cost complex adaptive systems for Co-operative Enterprises. Is Combining Data from Different Databases important to you? Welcomer is a better way of connecting data across database silos. Previous approaches based around identity fall short of the goal, or get bogged down in complexity. Welcomer is an adaptive, secure, open-source approach that’s elegant in design and simple for you to deploy. Your data elements are connected permanently, but privately, across databases both within your organisation and in other organisations. Your existing applications are untouched and you can share your data with others. You choose what to share and with whom to share. Use Welcomer to connect citizen and business data in a Smart City. If you want clients/customers/members to interact seamlessly with your service then choose Welcomer. Welcomer lets you offer them more: a secure browsing experience. Their own data is linked across databases and both you and the person concerned jointly control access to the data. Their personal data stays protected in your databases. Welcomer connects information about the same thing across silos for a ‘whole of person' view. But we’re not just about people. Welcomer identifies and connects any thing your organisation deals with: companies, houses, even fridges. Our solution works equally well across Welcomer-enabled systems in other organisations. You gain instant connectivity, of people with the Things they control while preserving database integrity. Welcomer is a connecting layer that spans database silos. A simple, but radically new design sidesteps the factors hampering current methods for federated data. You don’t need to overhaul current systems. Welcomer works without linking indexes, without database federation, and without a honey-pot of centralised data. What it adds to the equation: adaptive network intelligence. 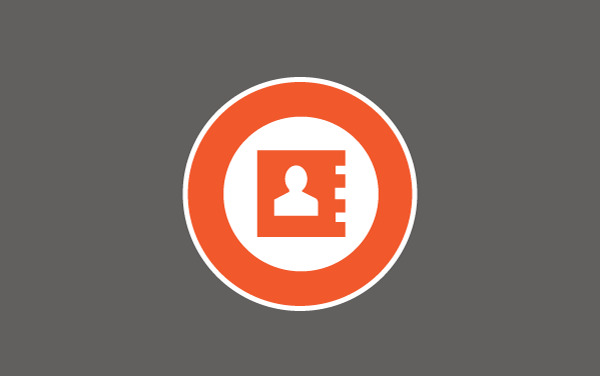 Welcomer works by making a copy of data and storing it in a supplementary database that is accessible to both the organisation and the individual. Watch the video for a brief overview. Read more about Welcomer and the Internet of Agents.